The 139 series tubular vernier inside micrometer includes a set of extension pipes with anvils for a diversified range of measurement measuring inside dimensions (ID) of cylinders, rings, and parallel surfaces. It has a vernier scale in inch units for taking precise ID measurements to 0.001”, and a satin chrome rust-and glare-resistant finish. 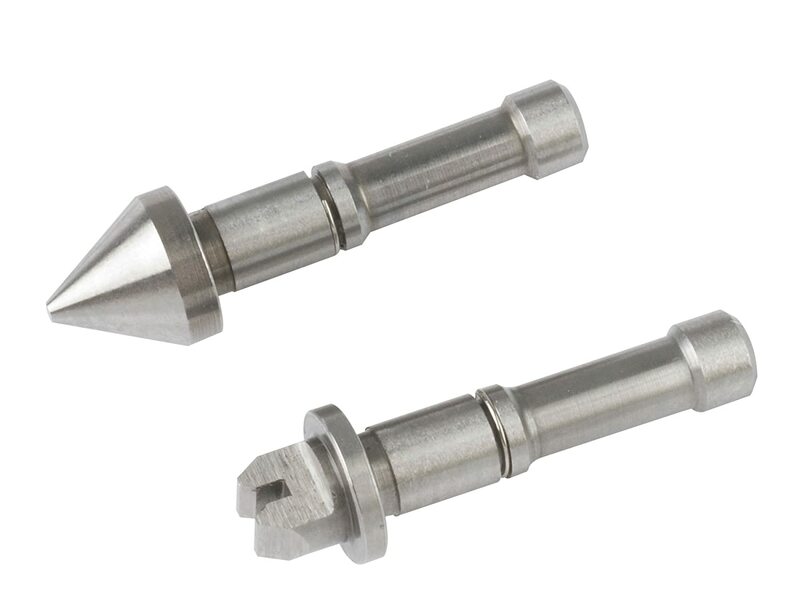 The micrometer head has a travel of 1” per revolution that helps provide quick positioning. The hollow, tubular extension pipes help provide light weight with rigidity. A locking clamp helps hold measurements in place. 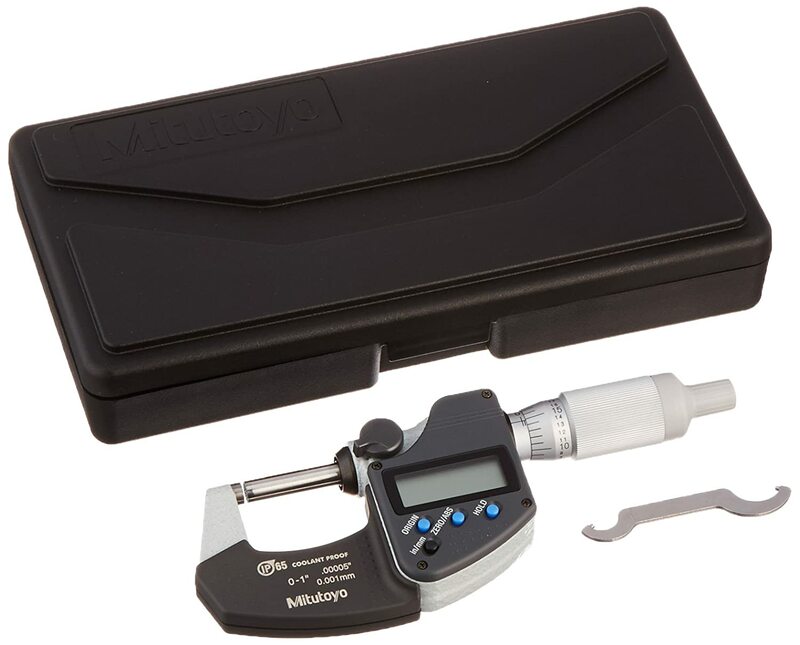 The micrometer and accessories come with a fitted case for storage. manufactures precision measuring tools, metrology equipment, and systems. The company was founded in Tokyo in 1934 and formed America Corporation in 1963, which is headquartered in Aurora, IL. 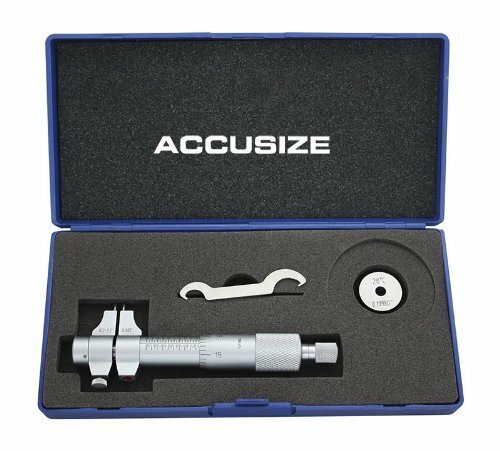 Accusize - 0.2-1.2'' x 0.001'' Inside Micrometer, Satin Chrome Finished, EG00-3221 Accusize Co. Ltd.